Your lenses cracked, scratched or broken? That doesn’t mean your sunglasses have to get tossed. With our high-quality lens replacement options, yours glasses will be good as new—maybe even better. But we don’t like to brag. Ours are industry leaders in safety, performance and durability. Each set of lenses is meticulously crafted for fit, form and function, all with fabrications that are as affordable as they are eco-friendly. With 100,000+ models available, you’ll find the perfect set of lenses to repair your perfect pair of sunglasses—fast. performance, usability, or even your style. 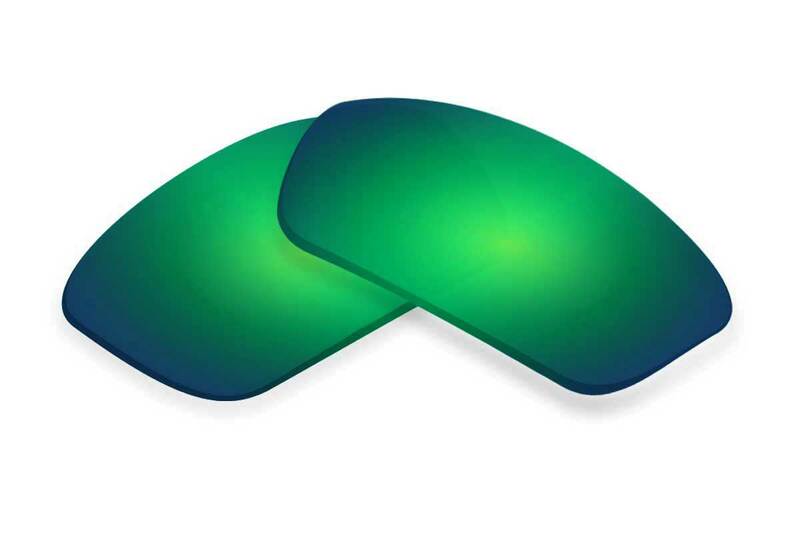 One of the strongest, lightweight and durable lenses made. These lenses integrate a Japanese polarisation film with 99.9% efficacy rating making it one of the best glare fighters around. This may be the best lens you've ever owned. Safe, durable, lightweight and ready for action. Lenses are coated with a protective layer that resist scratching, repels water and sweat. Crystal clear glare protection when only the best can do. 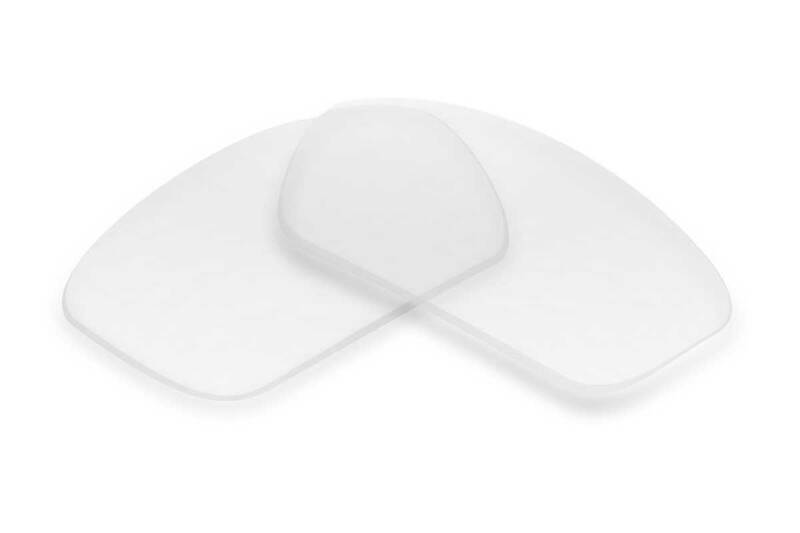 All Ultimate Lenses are made from a unique flexible polymer that has unbelievable optical clarity. In fact, laboratory testing ranks our lenses up with optical glass but our lenses are 1/3 the weight, don't break, are safer and easier to install. While some polycarbonate lenses claim they've got great clarity, you'll never go back to a polycarbonate lens once you tried ours. A strong polycarbonate lens with hydrophobic external coating that makes cleaning a breeze. 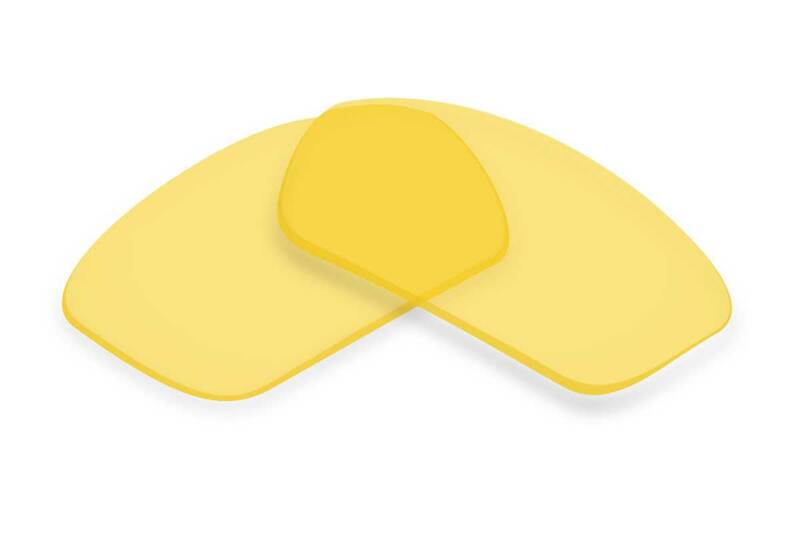 The lenses integrate a Japanese polarisation film with 99.9% efficacy. A strong seller and original at The Sunglass Fix. Our polycarbonate lenses perform great. Polycarbonate lenses set the standard for safety because of their strength. While you give up a bit in optical clarity, they are still a great replacement lens option. Polarized lenses have a polarization film built into them. These films act as millions of microscopic mirrors that reflect light that comes from the top and bottom of the lens. This prevents glare reflections from roads, snow and water hitting your eyes. 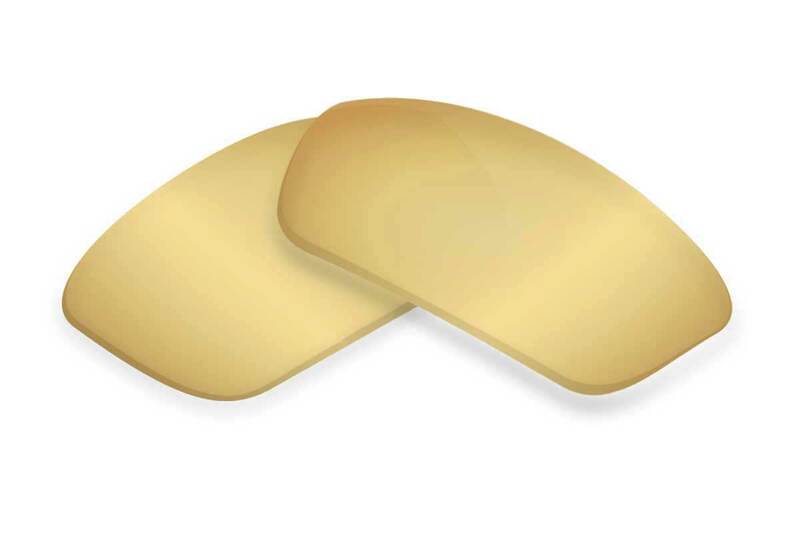 Our lenses are made from one of the best performing Japanese polarization films which is rated at a 99.9% efficacy rate. Polarized lenses are found in many sports brands and are uncommon in fashion eye-wear. However, many of our customers opt to upgrade to a polarized lens in fashion eye-wear for the added glare protection and soothing performance they deliver. All of our sunglass lenses eliminate almost all UV Rays. Regular sunglass lenses reduce glare by blocking visible light in an equal manner across the entire lens. Polarized lenses, on the other hand, act like millions of microscopic mirrors that are angled away from your eyes field of vision. When light waves hit the polarization layer at various angles that are not perpendicular to your lens it's reflected away rather than let through to your eye. This results in unwanted glare from roads, water and car windows being either dulled out or seriously reduced allowing you to see the field of vision the way you want. The reduction of glare provided by sunglass lenses allows you to wear your sunglasses for much longer periods of time with reduced eye-strain and squinting eyes. 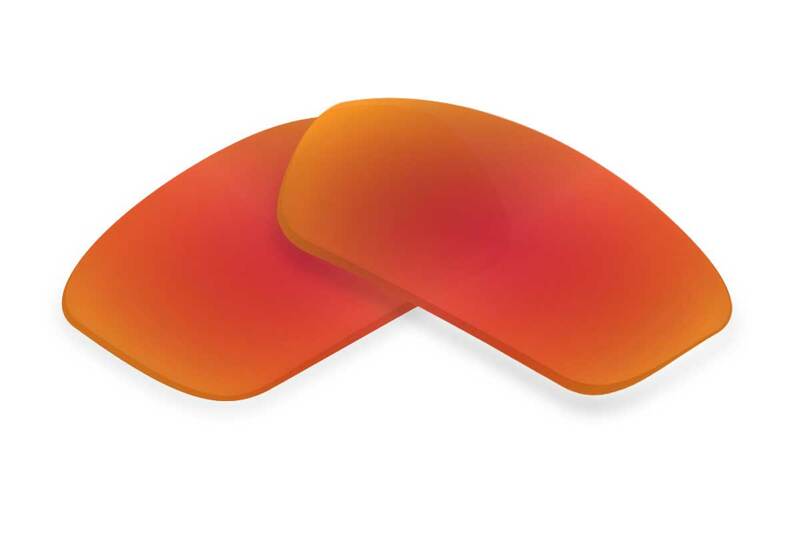 We also have customers that suffer from migraines who claim that polarized lenses help reduce the onset of headaches. Because polarized lenses block out glare and light at certain angles it can prevent you from seeing reflections you'd normally see. Any reflection off wet patches on the road or your favourite ski slopes may not show up as strong as normal. Also, LCD displays from certain devices such as car stereos, microwaves, mobile and computer monitors may not get blocked out, especially with lower quality polarization films. We've had feedback from customers about the polarization interacting with polarized films in their tinted car windows. If your lenses are removed from your sunglasses, turn one lens 90 degrees from the other and look through both lenses at the same time. You will notice that you can't see out of the lenses. Regular sunglass lenses will just appear darker and maintain the same level of tint as they are turned. If you lenses are still in your sunglasses you can look at a high glare reflection off a car window. If you turn your sunglasses in a clockwise motion while looking at the glare it will get brighter and duller as the sunglasses are turned if the lenses are polarized. If the glare remains the same, you have regular sunglass lenses. If you turn one polarized lens perpendicular to another (90 degrees) the films block all visible light as they both work to block light waves from different angles. 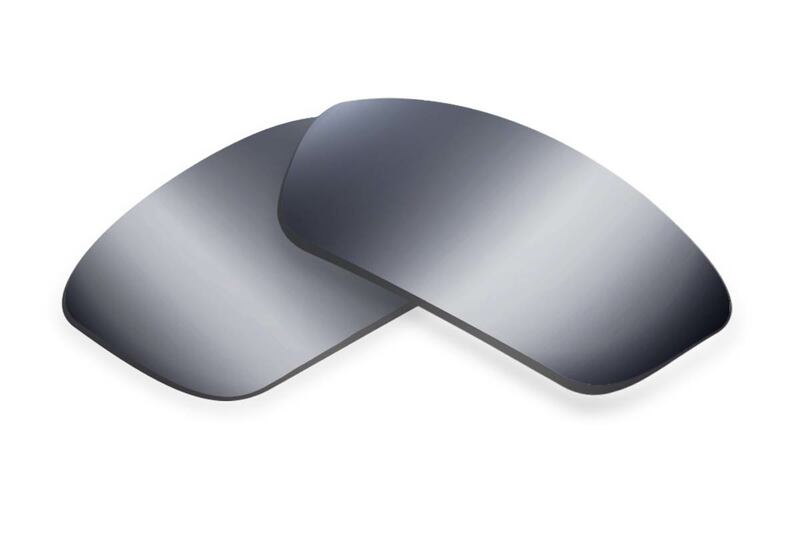 Polarized lenses block out entire view when turned 90 degree from each other as the films interact to block all visible light. 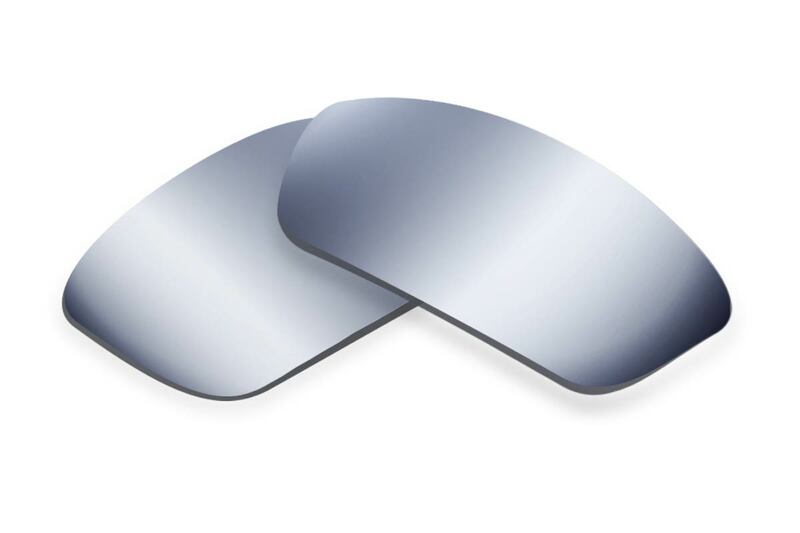 If two polarized lenses are looked through while they are parallel to each other you can see through them like regular lenses. The view is just darker. Polycarbonate lenses is one of the most common sunglasses lenses found on the market. Most fashion and sports sunglasses use this medium in their lenses. It is a very safe lens and is the only lens to be used for safety glasses. Our Ultimate Lenses are made from polyamide. This material has similar optical properties as glass lenses. However, they are 1/3 the weight of glass and are significantly safer as they do not break. They last longer than most polycarbonate lenses and provide clearer vision. Polyamide lenses are found in some of the top models from high end sport manufacturers. While most use polycarbonate for the mid range sunglasses they will put Polyamide in their top of the line models. They Perform: Our SFx lenses are 60% lighter than glass and much, much stronger, plus each pair are crafted from a polycarbonate material (except our Ultimate Polarized) that give them incredible clarity. They come in many color and Options: You’ll find your lenses—and if you don’t, we can custom craft a pair for you. Found your lenses? Great. Now pick a color! With 10 colors to choose from you can build your perfect sunglasses in a snap. Click here for more on lens color. They Keep Your Eyes Safe: Each pair provides 100% UV protection. All of our lenses meet AS/NZS 1067:2003 and all other known regional quality and safety standards. They provide 100% UV protection so you know your eyes are being protected. The SFx Polycarbonate (PC Polarised and High Clarity) lenses are made from the same primary material used in bulletproof glass and safety goggles making the lenses virtually shatter proof. Our Ultimate lenses are some of the safest lenses on the market. However, they fall just short of the Industrial Safety standards required for safety glasses so can not be worn as saftey glasses. Please note, frames also play a big factor in safety. Safety lenses in fragile frames can make good sunglasses but may not provide safety required at the workplace. They'll Last (and last, and last...) We’ve put our lenses through the ringer because we know you’re going to, too. They’ve stood up to the steel wool abrasion test, ranking 300-500% higher than the competition. They don’t break. They resist scratching. They don’t give out. Take care of them and they’ll take care of you. They'll save you big bucks: Those lenses we beat out in the durability tests? They can retail for more than $500 in stores. Don’t waste your money—our replacements are as affordable as they are high quality. They're good for the Environment: One billion pairs of sunglasses are sold every year. Imagine one billion pairs being tossed? We don’t like to think about it either. Replace ‘em, don’t toss ‘em. Do your part for the earth—and for style. Still think newer is better? Check out our testimonials and see what our customers have to say. Like you they love their shades—and like you they didn’t want to ditch a good thing. Their solution? The Sunglass Fix.